Description: Behavioral risks and disorders are responsible for 40% of deaths, $300 billion in healthcare costs, and $600 billion in additional expenditures yearly in the United States. The US Preventive Services Task Force and other authorities recommend screening and intervention for tobacco, alcohol, drugs, depression, and obesity, but few healthcare settings deliver these services in an evidence-based manner. The major barrier is provider and staff time. With funding from SAMHSA and AHRQ since 2006, the Wisconsin Initiative to Promote Healthy Lifestyles and its spin-off, Wellsys, LLC, have helped dozens of clinics implement systematic behavioral screening and intervention (BSI). WIPHL and Wellsys help clinics hire staff to serve as "health educators," provide training and ongoing development for health educators, support clinics on modifying workflow and documentation flow, and offer software to guide clinical service delivery, automate business practices and conduct population health management. Over 150,000 patients have been screened, and behavioral outcomes parallel those attained in prior randomized controlled trials. Now under CDC funding, BSI is expanding to improve outcomes for diabetes, hypertension and lipid disorders. Please join us to learn why and how you might consider implementing BSI in your healthcare setting. Consider next steps in promoting BSI in your healthcare setting. Richard L. Brown, MD, MPH, family physician and a tenured professor in the Department of Family Medicine at the University of Wisconsin School of Medicine and Public Health. He completed college and medical school at Brown University, a family medicine residency at Overlook Hospital/ Columbia University, and a family medicine research fellowship and masters in public health degree at the University of Washington. On the faculty at the University of Wisconsin since 1990, Dr. Brown’s academic focus has been the primary care management of alcohol and drug disorders and other behavioral risk factors and conditions. He has conducted NIH-funded research, published dozens of peer reviewed articles, made numerous presentations, and conducted workshops in this realm on four continents. He served as president of the Association for Medical Education and Research in Substance Abuse (AMERSA) from 1997 to 1999 and received AMERSA’s McGovern award for excellence in medical education in 2002. From 1999 to 2004, he served as the founding director of Project MAINSTREAM (www.projectmainstream.net), a federally funded program that enhanced substance abuse education for twelve health professions and over 10,000 trainees. 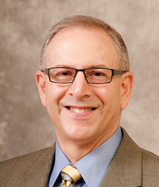 He currently serves as Director for the Wisconsin Initiative to Promote Healthy Lifestyles (www.wiphl.org), whose mission is to enhance delivery of behavioral screening and intervention services in healthcare settings throughout Wisconsin.